William Gillette, an actor best known for his portrayal of Sherlock Holmes, is wounded following an attempt on his life at a performance. He invites a few friends over for a Christmas Eve celebration at his mansion while he recovers. 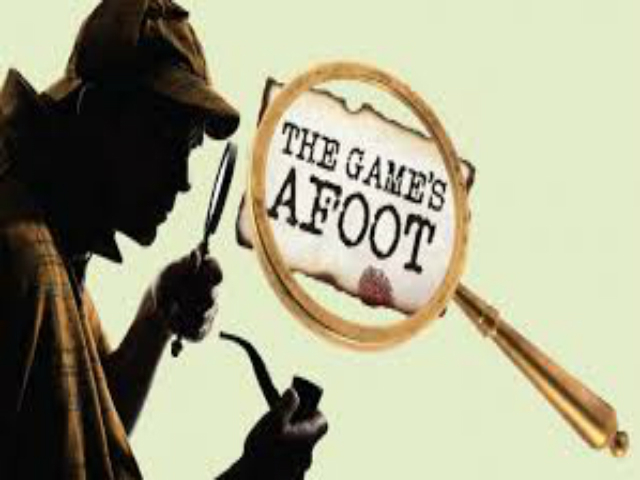 When a murder happens that evening, Gillette puts his Sherlockian skills to the test in an attempt to solve the crime before anything else goes awry. The "whodunit" plot takes many twists and turns, the dialogue is witty, there is suspense within the laughter.